As of 26th February 2019 we have raised £7,437.35 for the HQ Improvement Project. If you know of any sources of funding, or would like to help with fundraising then please get in touch via the Contact Us page. At the 23rd Bromley we are very lucky to have our own hall to use for all of our Scouting activities. Many other groups in the area have to make use of school / church halls which have limited availability and high rental costs. 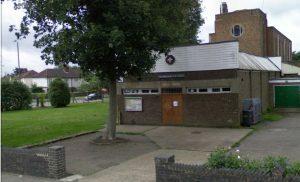 Our Scout Group has a long term lease agreement with St Augustine’s Church whereby we pay minimal rent for the hall, but we are responsible for the costs of the upkeep of the facilities. These costs are not insignificant and they are rising year on year, however the costs are lower than rental costs of other Scout Groups which means the 23rd Bromley is able to provide one of the most affordable Scouting experiences in Bromley. Having such a large hall and field, that we can use as and when we want allows us to provide a variety of Scouting experiences for all ages. However we are aware that there are a number of ways in which the hall can be improved. For example we only have one female toilet which is somewhat of an issue given some sections are predominately made up of girls.